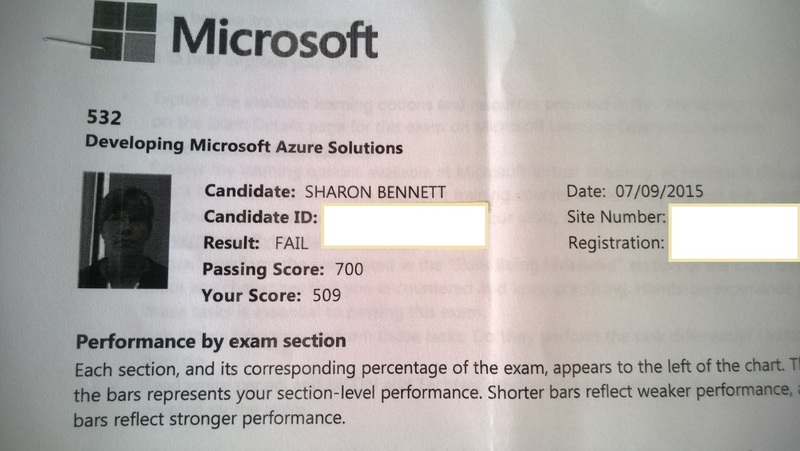 Failed the same exam 70. I am a teacher and this kind of education is not something I would give children an example. Not naming the company of the exam, but obvious, they do not care that we can learn from mistakes. I have to state that the language used (past, present tense and their intention and expectation in the cases presented) is not clear all the times, but highly ambiguous. I had the same thought, shall I give it another try … yes, I will, but if that failure happens, I will educate my kids to use stay away from such culture. I cannot express how much anger felt with the first attempt failing. It should not be packed in the Azure Solution Architect pack!